Monique Elliott is the Chief Marketing Officer at GE Industrial Solutions, GE’s electrification and automation business. In this role, Monique is responsible for all areas of marketing including customer experience, digital marketing, demand generation, eCommerce, product marketing, analytics and strategic planning. 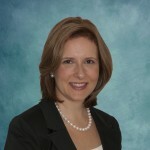 Monique has held various roles in marketing, sales and commercial excellence. Monique has an M.B.A. degree from Northeastern University and a B.A. degree in liberal arts with a concentration in business management from California State University.